Bay Area photographer John Chiara captures cityscapes and landscapes in a process that is part photography and part event, creating one-of-a-kind photographs in a variety of hand-built cameras. The largest of these cameras is a 50 x 80-inch field camera transported by the artist on the bed of a flatbed trailer. Once a location is selected, John Chiara physically enters the camera, manipulating positive color photographic paper in near total darkness, using his hands to burn and dodge the image. 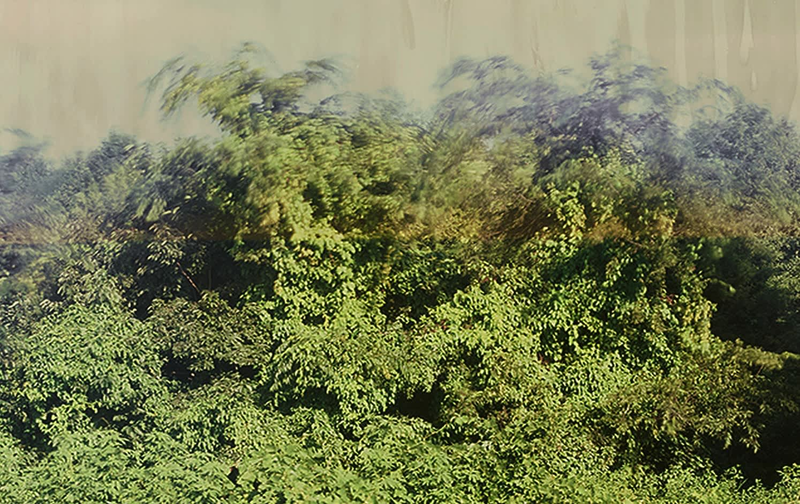 The resulting landscapes in John Chiara's photography are evocative and layered, retaining traces of hig innovative technique—irregular edges, glimmers of the translucent tape used to affix the paper to the back wall of his trailer. 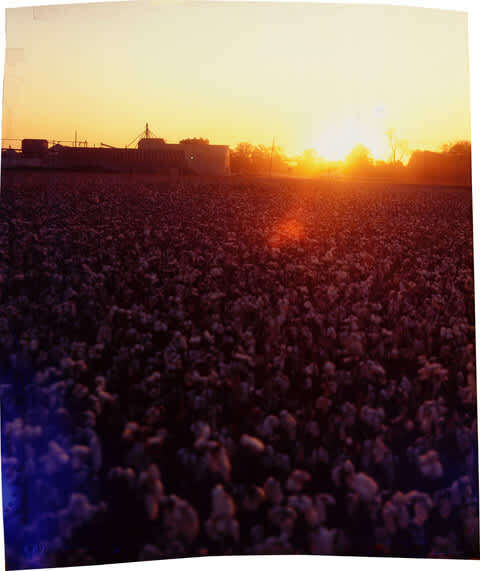 With Mississippi, John Chiara's photography has captured the sensuous setting of the Mississippi Delta in a series of photographs taken over an 18-month period in 2013-14. 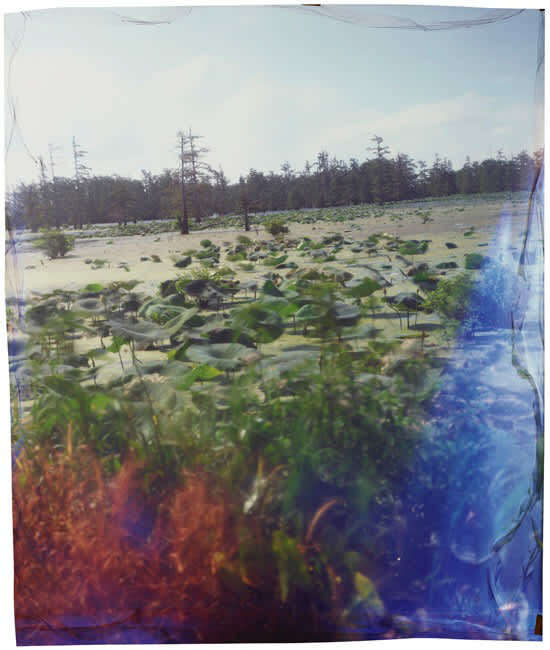 These introspective and unique prints emulate the hazy sluggishness of a Southern summer, their sun-scorched slow exposures punctuated by streaks of brilliant color and ethereal impressions of the places they interpret. John Chiara received his B.F.A. in Photography from the University of Utah in 1995, and his M.F.A. in Photography from the California College of the Arts in 2004. John Chiara was an artist in residence at Crown Point Press, San Francisco (2006), Gallery Four, Baltimore (2010) and the Marin Headlands Center for the Arts (2010). In 2012, John Chiara was one of 13 international artists whose work was included in the exhibition Crown Point Press at Fifty at the de Young Fine Arts Museums of San Francisco. 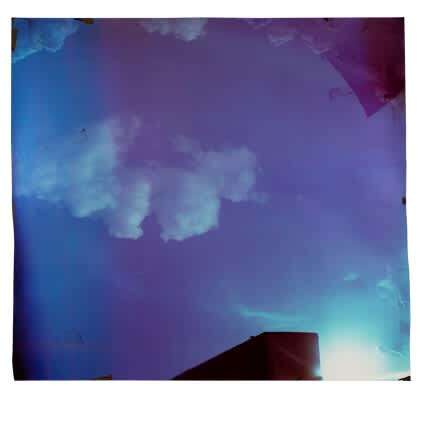 John Chiara’s photography is currently at the J. Paul Getty Museum as part of the renowned exhibition Light, Paper, Process: Reinventing Photography. He is represented by ROSE Gallery, Los Angeles, Haines Gallery, San Francisco, and Yossi Milo in New York.